Fully Fashioned! Pringle Scotland celebrate 200 years. You wont be surprised to hear that Scotland is the birth place of knitwear (what with there being plenty room for sheep and really crappy weather and all.) But did you know that this year marks the 200th year celebration of our iconic brand Pringle of Scotland? It sure does! Creating everything from woollen underwear (! 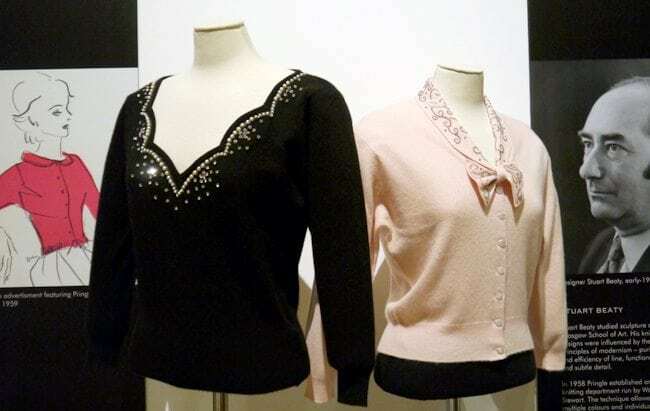 ), golfing classics and even some pretty dazzling 60’s ski wear, they’ve been a staple in the fashion industry since 1815. To mark the occasion, the National Museum of Scotland has collated some of their most incredible pieces from the archive to share with us in a Fully Fashioned exhibition. 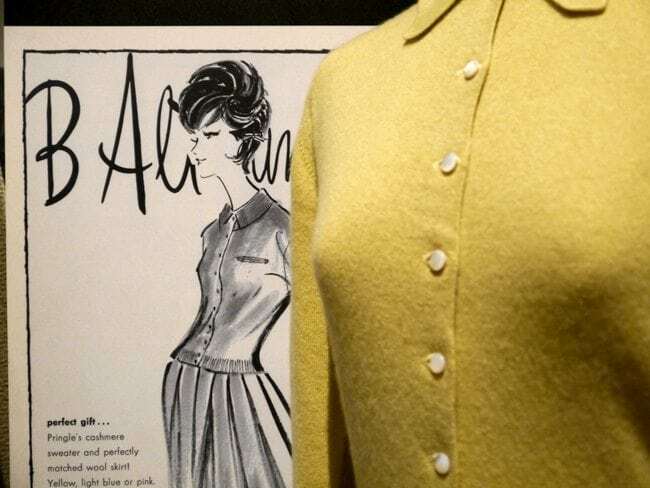 Given my intense interest in the 50’s, my focus has got to me on their beautiful vintage sweaters, because without Pringle, the 1950’s Sweater Girl phase just wouldn’t have been so fabulous! 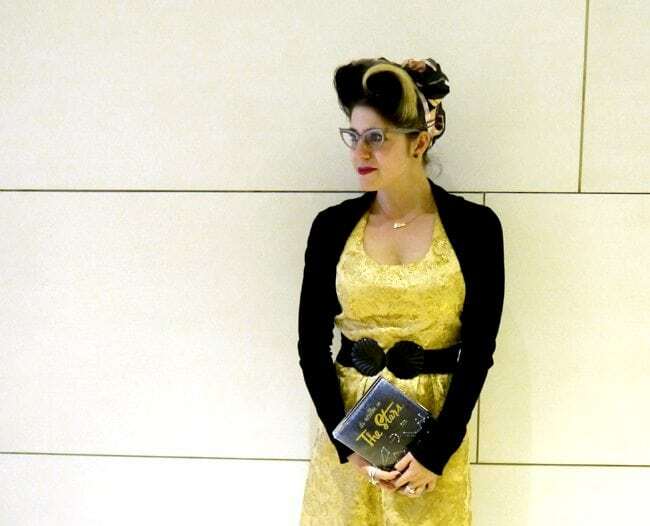 Combining tight knit sweaters and cardigans over bullet bras was the ultimate pin up girl combo, and if you ask me, it still is. With Lana Turner, Jane Mansfield and Jane Russell being the main poster girls for the movement you know you were in good company hitting up this trend! 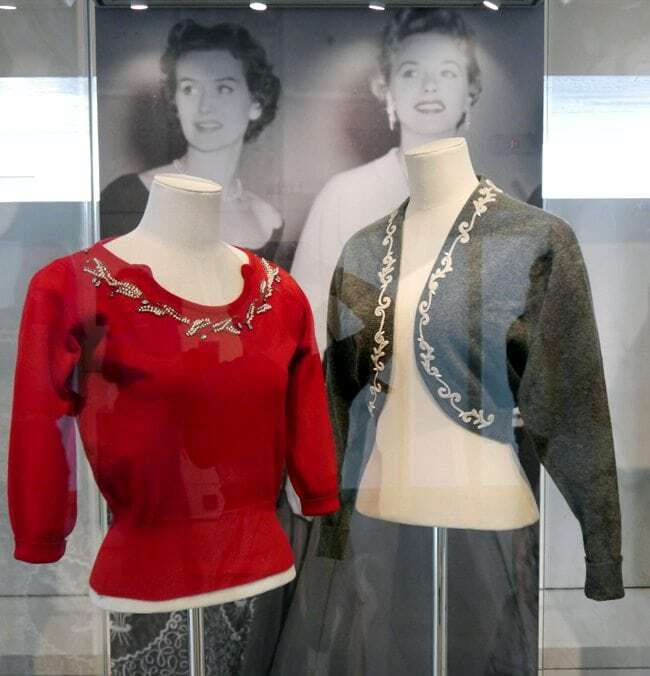 The exhibition shows an array of beauties worth coveting and even includes items worn by Sofia Loren, Princess Grace of Monaco; Grace Kelly and even our very on Queen Liz wearing the brand. Incredible! As the show takes you through a journey of Pringle’s development, you get to see some of their really early products alongside some of their more diverse, entertaining and ultra modern designs. How great is this keyboard twinset? It’s great to see such an established brand keep up with the times. They’re even working on knitwear intertwined with 3D printing, which (although not something I would wear) is definitely something worth going to see! And lets be honest ladies, you just cant go wrong with a cute cardi and big hair! 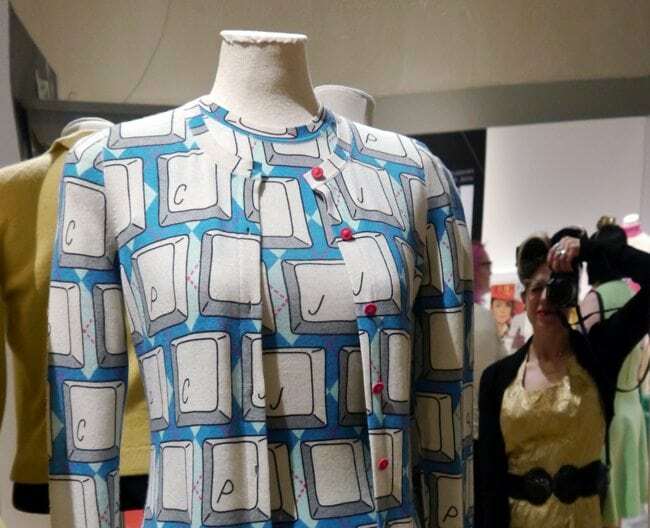 So, if you’re around in Edinburgh and are looking for some wardrobe inspiration, be sure to pop in to the exhibition, which is on till the 16th of August. 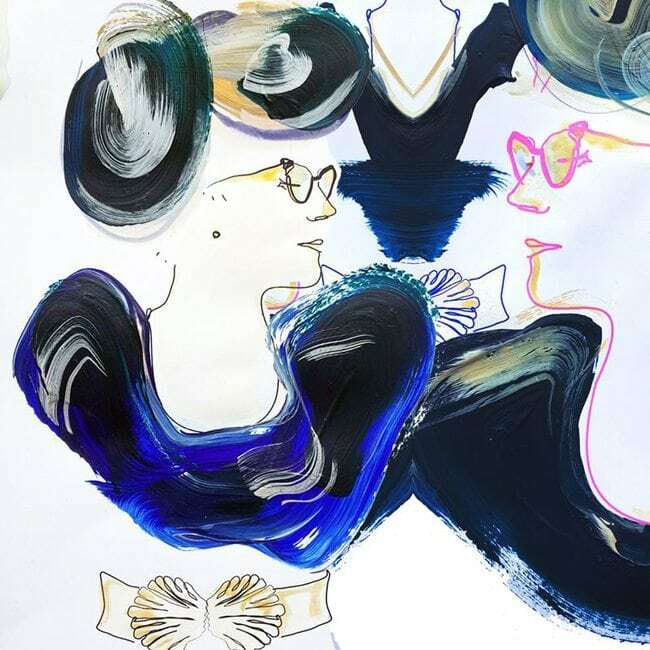 Not only did I have a brilliant time learning about their history in fashion, I also got to meet the beautiful Maria Lavigina, a fashion illustrator and blogger, who created this illustration of me from the event… What a great way to treasure the day! I don’t want to sound too cocky here, but I genuinely thing it’s the most elegant thing I’ve ever seen. Thank you so much Maria!! 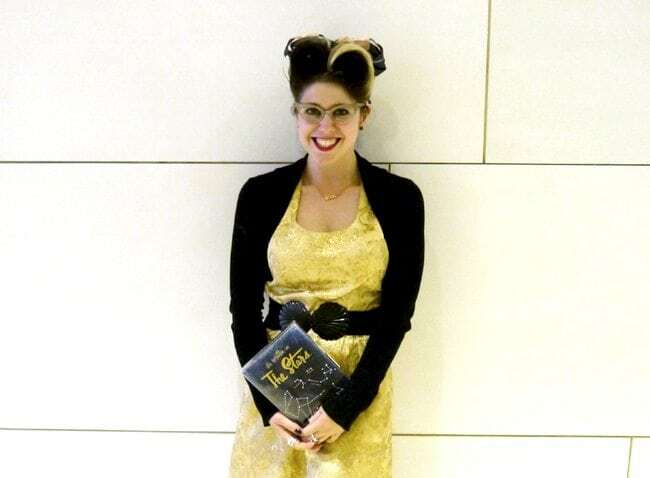 To see more of her work and check out her oppinion of the event be sure to visit her site here.